I’m not quite over my auto obsession, so when I spotted this little gem for sale I almost drove off the road. 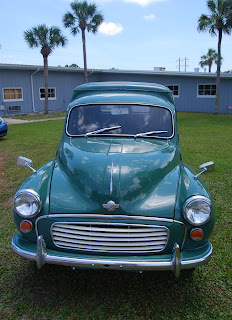 It’s a 1971 Morris Minor, a British icon made in England from 1948 to 1972. 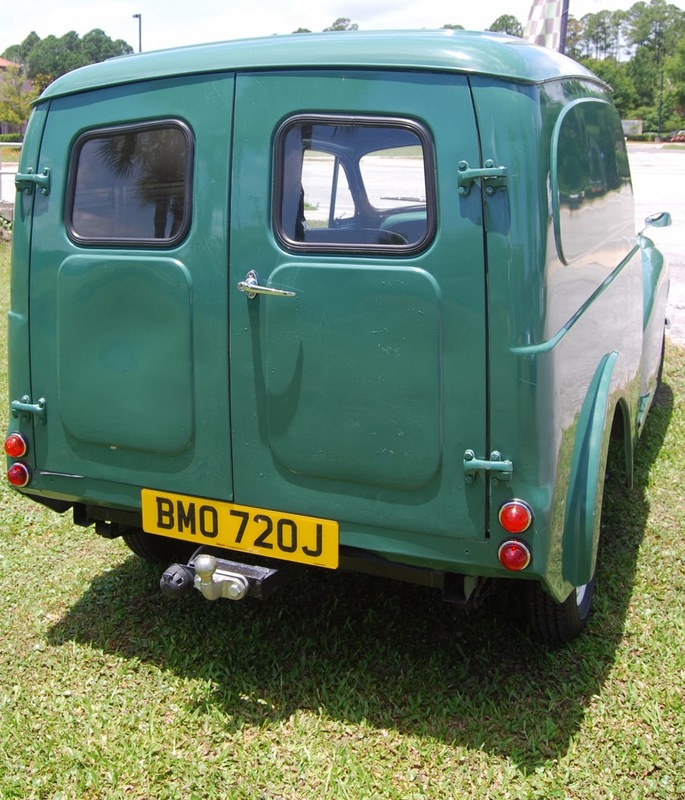 The tiny panel van has got it all: retro styling, room for a shrimp like me to sleep in the back and a green to rival the Fiat 500 I crave. 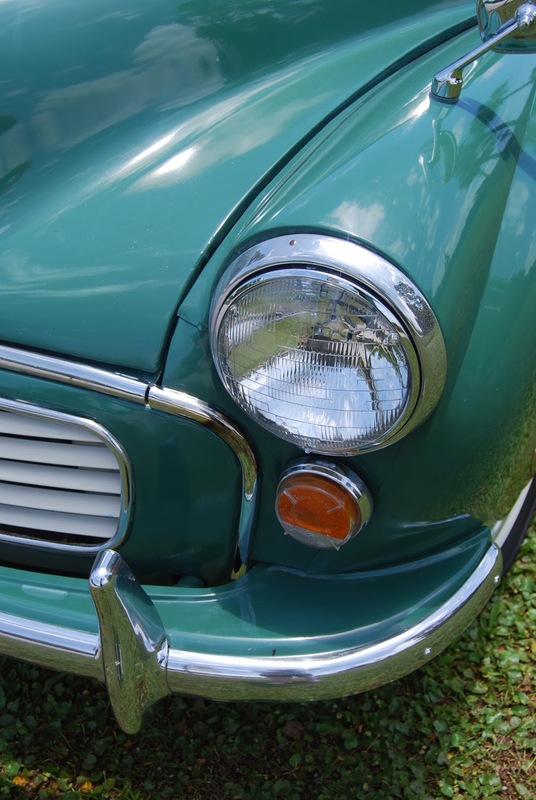 (Morris calls it Almond Green and Fiat calls theirs Verde Chiaro – Italian for light green. I call it Dath Fearr Riamh – Irish for best color ever.) I love the flat rich colors you find on autos of a certain vintage. Enjoy them here. 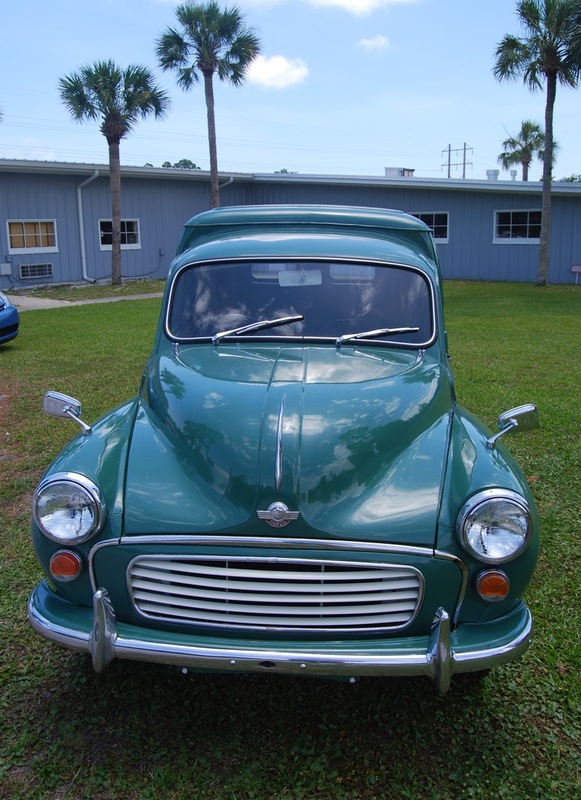 What intrigued me about this particular Morris Minor was its potential to become a tiny house on wheels. 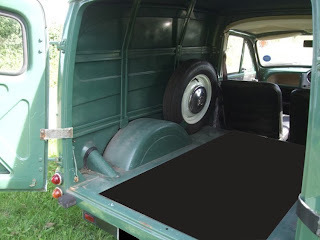 The cargo area was wide open and just waiting for someone to put in a bed, shelving and a little kitchen. The closest thing you could find these days probably would be a Ford Transit Connect: 40 years newer, with safety features and easy-to-find service. They make great tiny conversion vans. 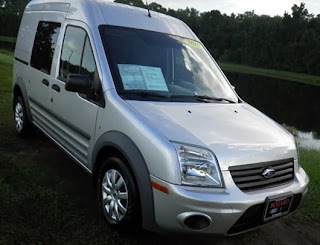 I found this 2010 locally for $12,000 at Bozard Ford. 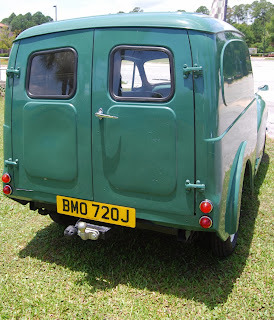 But if you want charm and nostalgia in a tiny camper, find yourself a Morris Minor van for about the same price and get to work. of one in England courtesy Charles Ware's Morris Minor Centre Ltd. If you’re looking for a small car rated for towing that isn’t an SUV, crossover or sedan, there is an option. The Toyota Matrix hatchback is built on the Corolla body, and tows up to 1,500 pounds. Mileage is good at 26 city, 32 highway. The car has mixed reviews, but its tow rating and AWD make it unique as a tiny tower. The 2013 is the last model year, so they are getting harder to find. They are a good alternative to tow a teardrop camper or a slightly larger trailer.